ALVR allows you to play a one-handed version of Beat Saber. Oculus Go is a standalone wireless VR headset that natively allows you to enjoy some quality mobile Oculus experiences. 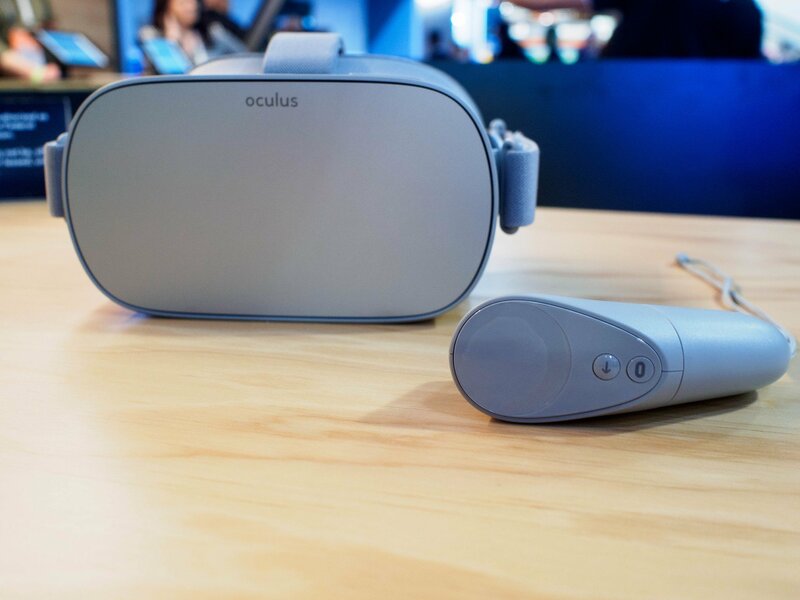 Coupled with Air Light VR (ALVR), a free piece of open-source software, you can actually stream SteamVR games normally reserved for PC-based headsets to the Oculus Go. While a lot of those SteamVR experiences won't work properly, Beat Saber seems to now fall under the category of "partially working." You still don't have six degrees of freedom (6DoF) or two motion controllers, but you can certainly get a feel for the game. If you've been dying to try Beat Saber in any capacity whatsoever, you're in luck. Here's how to get Beat Saber mostly working with Oculus Go. Before anything else, you want to ensure that you can get ALVR working on your PC. I've already written an extensive guide with step-by-step instructions, as well as a short list of what's required when it comes to hardware. Check out this guide first, and if all works properly, you can proceed with getting Beat Saber properly set up. Now that ALVR is set up and ready to rock, all you have to do is launch Beat Saber through Steam. However, there are a few things that you need to know about running Beat Saber properly. If you're part of the SteamVR beta, be sure to opt out before continuing. In my experience, the beta didn't allow my to use the Oculus Go motion controller. It's uncertain whether future versions of ALVR will continue to support Beat Saber, but for now, this version is tested and true. If you don't select the "No Fail" option within the game, you will quickly lose. It's impossible to duck out of the way of obstacles, and because the controller is essentially stuck in place, you won't be able to hit all blocks. Before starting a game, be sure to choose the single saber option. This one's a no-brainer, as you only have the one Go motion controller. YouTuber RaMarcus created this video to show what we can expect from Beat Saber on Oculus Go. Props to him for discovering that this now works. Considering this unholy union was never meant to happen, Beat Saber on Oculus Go can be a good bit of fun. As long as you don't go into this experiment expecting an experience on par with a true PC-based system, you'll do alright. As we wait and hope that Beat Saber one day comes to Oculus Go in a true sense, you can right now give it a good shot with one saber. You can't really duck obstacles, and moving side to side can even be a bit sketchy, so the "No Fail" option is still a must. My recommendation? Definitely give this a try if you already own an Oculus Go and don't mind a bit of PC tinkering, but I'm not sure at this point in time it's worth buying the hardware just for this experience, no matter how awesome Beat Saber is.